We got involved with the Impetus-PEF because we knew this would mean our projects would be part of a bigger programme of work that was already taking charities on a journey of growth rather than just a single intervention. 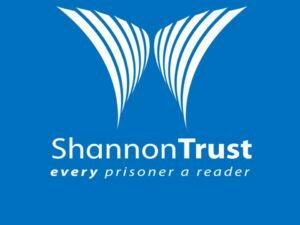 We have helped the Shannon Trust with several strategy days over the past few years culminating in us undertaking a pro-bono engagement to discover their Shannon Trustjourney towards becoming a social enterprise, in order to fund their work with helping prisoners to read. Excitingly, they have now begun to implement this strategy! They have started with the approval of their reading scheme, a uniquely designed set of books and training material aimed at adults to help them learn to read, to find out more click here. We are constantly trying to find ways to reduce our impact on the environment, with new ideas always being generated, last year we introduced our own re-usable bags for people to use at lunch, reducing our contribution to the 12.5 million tonnes of paper and cardboard used in the UK each year. In the UK we hold several fundraising events each year, ranging from regular favourites such as the Pub Quiz to one-off, larger events such as the Three Peaks Challenge. All the money raised currently goes to 3 UK charities, selected by our employees: Alzheimer’s Society, Rethink Mental Illness and Mencap.